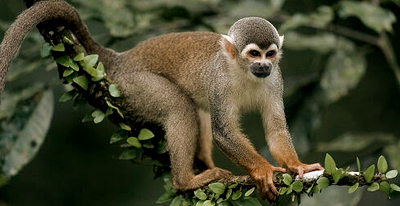 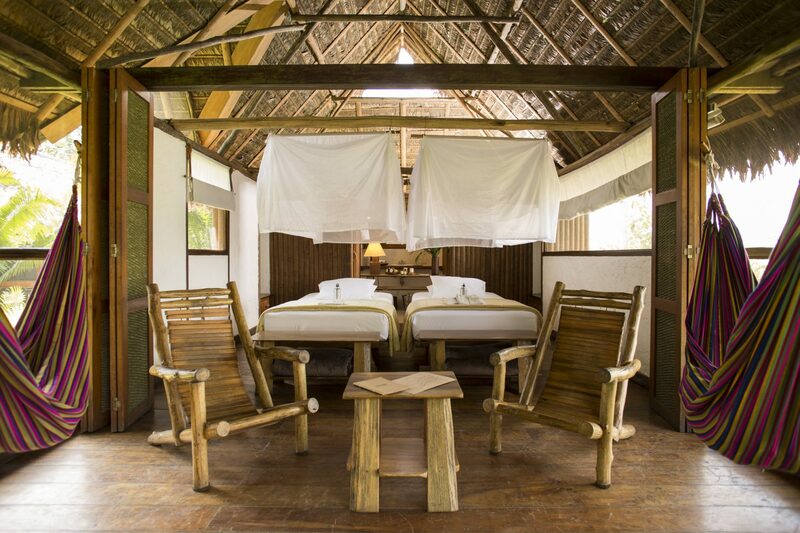 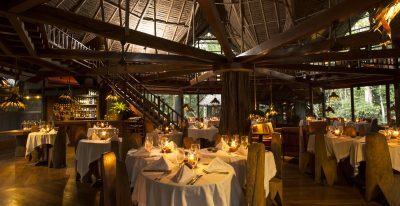 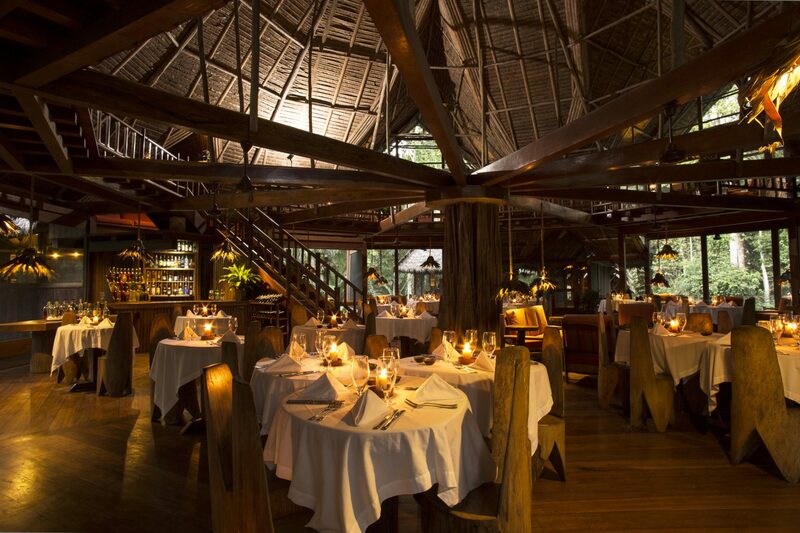 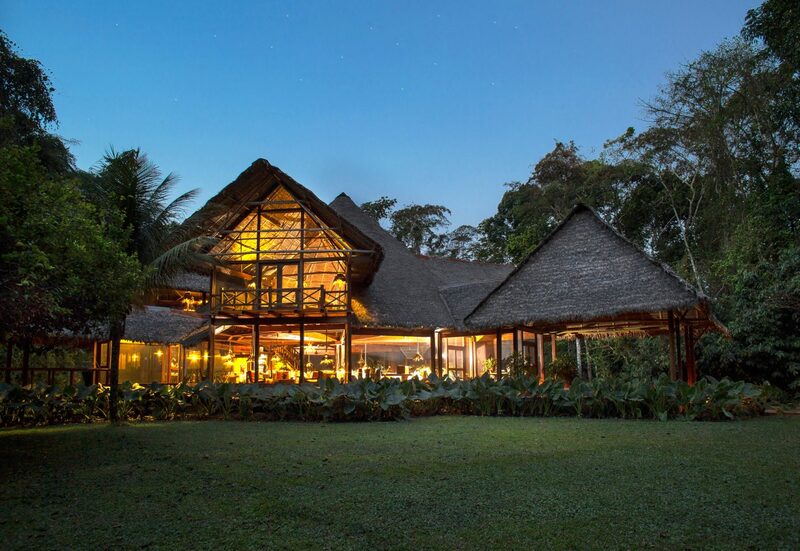 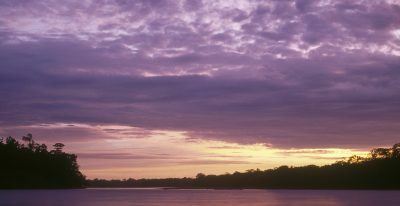 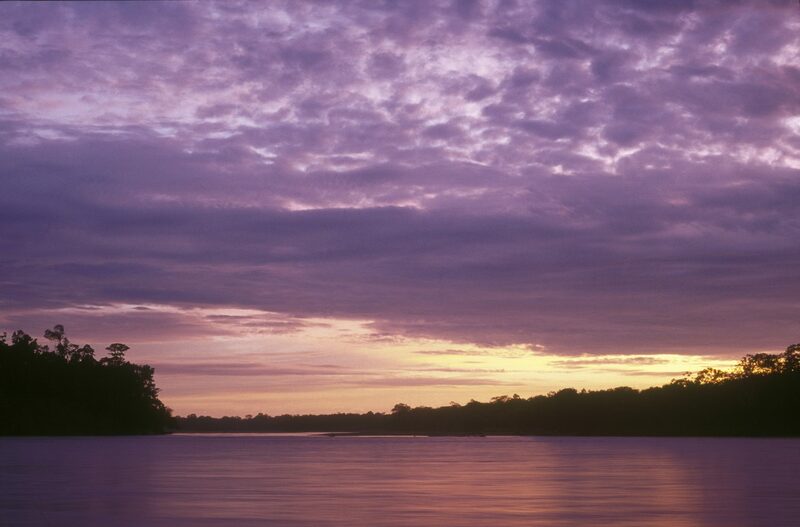 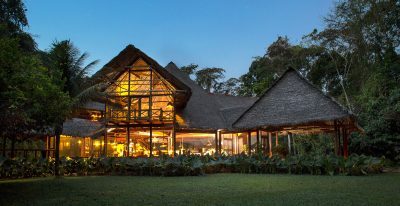 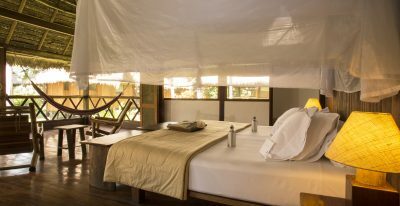 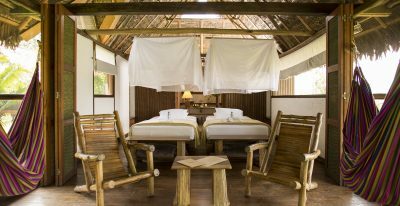 Located deep in the Amazon rainforest, the Inkaterra Reserva Amazonica sits at the edge of a private ecological reserve on the banks of Peru's Madre de Dios River. 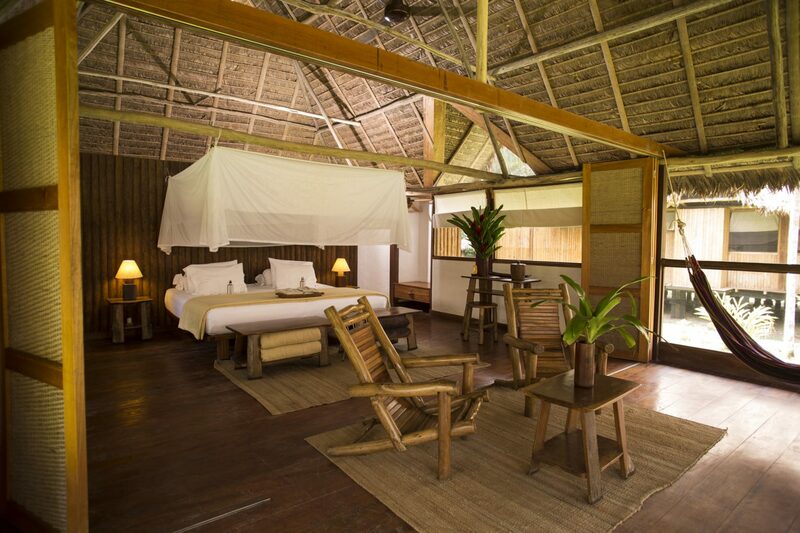 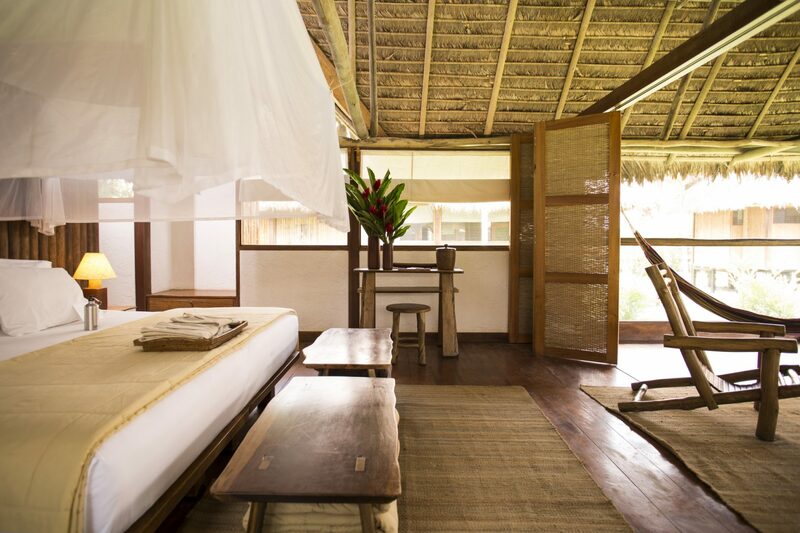 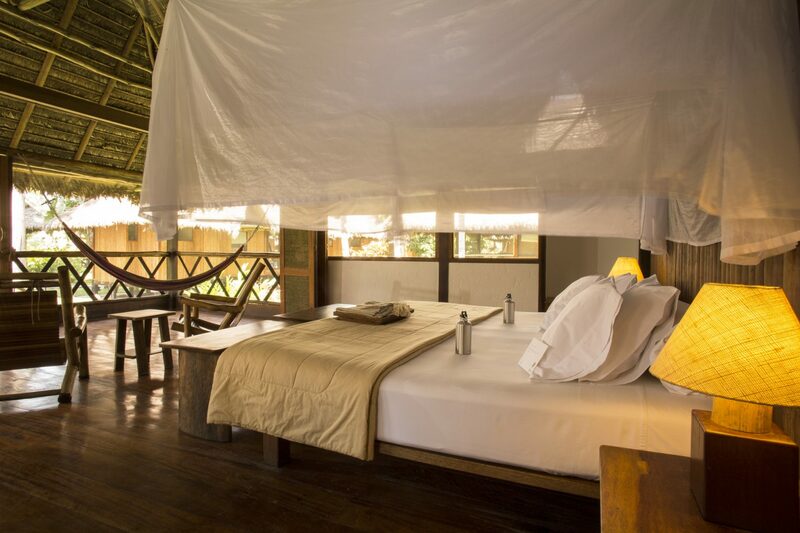 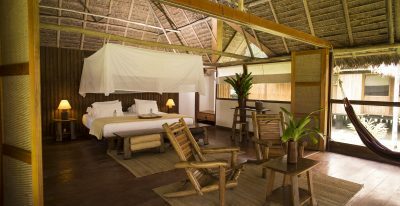 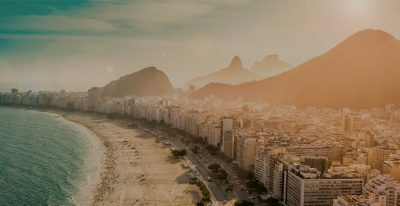 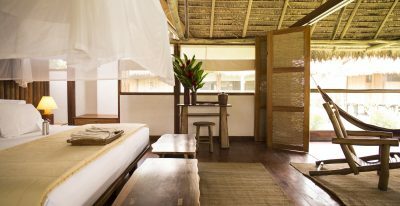 It features 35 thatched-roof cabanas with terraces and hammocks. 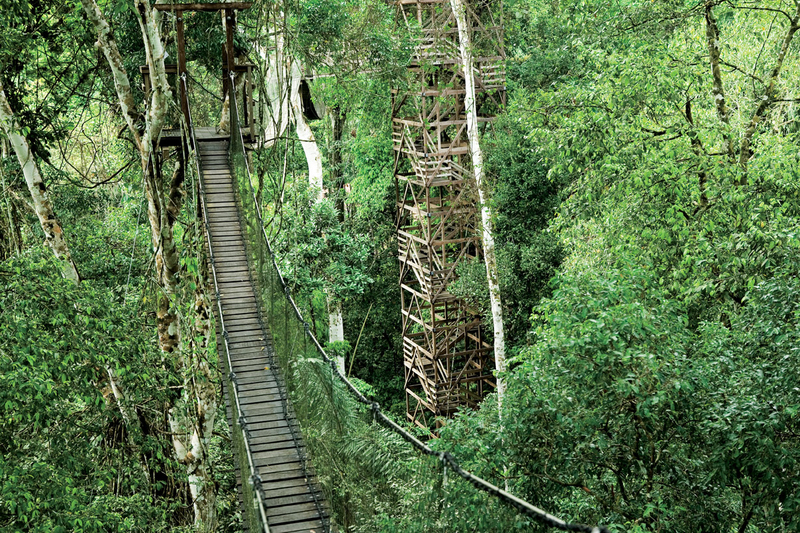 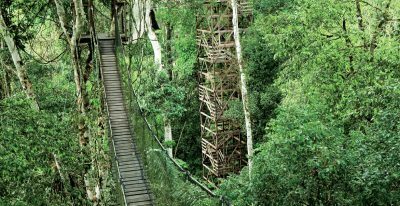 For a truly unique experience, the Inkaterra Canopy Walkway, a bridge system 90 feet above the ground, allowing adventurers to enjoy a privileged view of the Amazon.